Now, why do we have to take zan-shin? 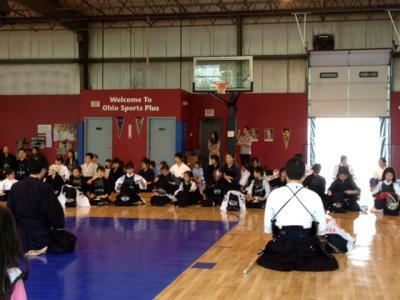 Zan-shin, or "letting your mind stay alert," means to exhibit your alertness of the mind and your posture that allow you to respond quickly to anything your opponent does, without relaxing your guard even after you make a strike. 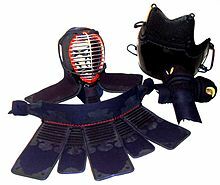 Kendo originates from the fight with real swords. When you fight with real swords, even when you think you strike your opponent, if you lose your attention you could be killed by the counterattack by the opponent. To warn us of such danger, we are now taught to "let your mind stay alert even after you strike or thrust." In practice, in order for you to exhibit your zan-shin, you pass by your opponent's side after your strike and go forward, or you go backward and take an appropriate distance from the opponent, and then face the opponent and take the posture of chu-dan. This is done in order for you to avoid your opponent's counterattack, as well as for you to make the next attack. Even when you cannot take a sufficient distance, you are to make the tip of your shinai pointed at the opponent's throat. Please remember that you cannot earn a point (ippon) if you didn't make zan-shin even when you made a strike or thrust.